AP ICET 2019 Result: Appearing candidates shall be able to see the result of AP ICET 2019 on May 06, 2019. The result will be declared on the official website www.sche.ap.gov.in. The council will release the merit list where candidates will be able to see their Rank Cards for the concerned. To check the result. candidate will have to provide their Registration number and Admit Card details and the result will be released in the form of ranks and scores. 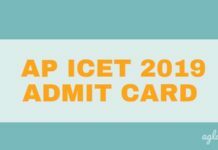 Rank Card and Score Card will be available for the candidate to download after the declaration of AP ICET 2019 Result. Candidates who will secure the minimum qualifying marks will only be able to qualify. 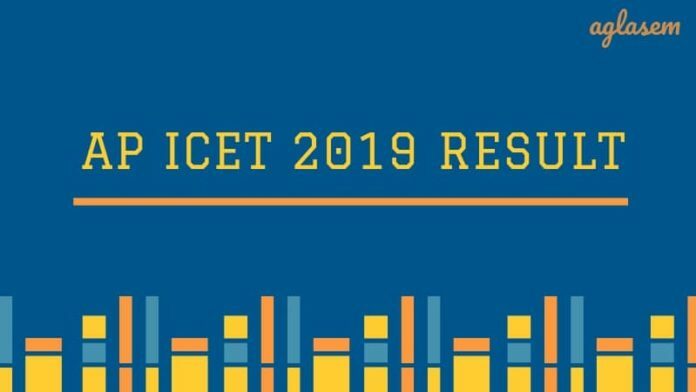 Candidates must scroll down to check the full information on AP ICET 2019 Result. The AP ICET 2019 Result will be declared by the Council after the entrance in the form of Merit list. The merit list will contain the names of the appearing candidates and the ranking secured by them. Candidates must check out the schedule given below to stay updated about the upcoming events. Result: The result will be available on www.sche.ap.gov.in. 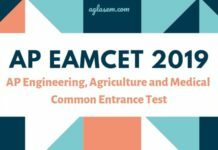 How to check the AP ICET 2019 Result? Candidates can check out the AP ICET 2019 Result on the official website. Here we have enlisted the steps for the candidates to check their result. In the Rank Card, aspirants will be able to see their performance distinguished as Qualified or Non-Qualified. Visit the official website www.sche.ap.gov.in or click on the direct link available on this page. Now enter Registration id, ICET hall ticket no and Date of birth. Click on “View Rank Card” to check the result. The Result will appear on your tour screen. Download and take a print out of the result card for future references. The Andhra Pradesh State Council of Higher Education prepares the Merit List as per the marks secured by the candidates in the entrance test. Candidates have to secure at least 25% qualifying marks in AP ICET 2019 (i.e., 50 out of 200) than they will be eligible to declare as the Qualified AP ICET 2019 Candidates. There are no minimum qualifying marks criteria for the aspirants who belong to SC/ST category. Candidates are assigned rank in order of their merit. Candidates getting higher score are placed on a higher rank and vice versa. Click here to check preparation of NCC Merit List. Click here to check preparation of CAP Merit List. Click here to check preparation of Sports Merit List. 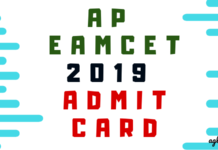 Merit rank obtained in APICET-2019 is valid for admission in the academic year 2019-20 in the colleges located in the state of Andhra Pradesh. All disputes arising out of any matter concerning APICET-2019 shall be subject to the jurisdiction of High Court of TS & AP only. In such disputes, only the Convener, APICET- 2019 and the Secretary, APSCHE can be impleaded as respondents.